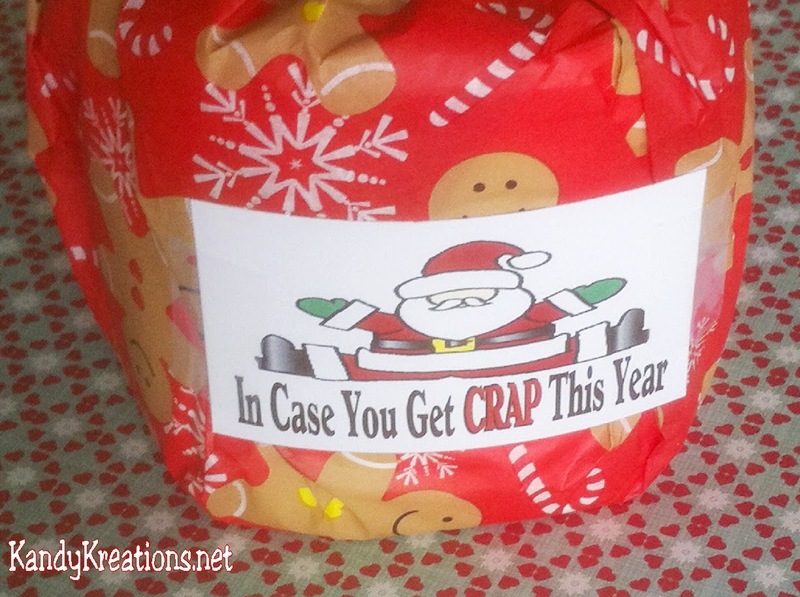 Going to a White Elephant Gift Exchange this Christmas and don't know what to bring? 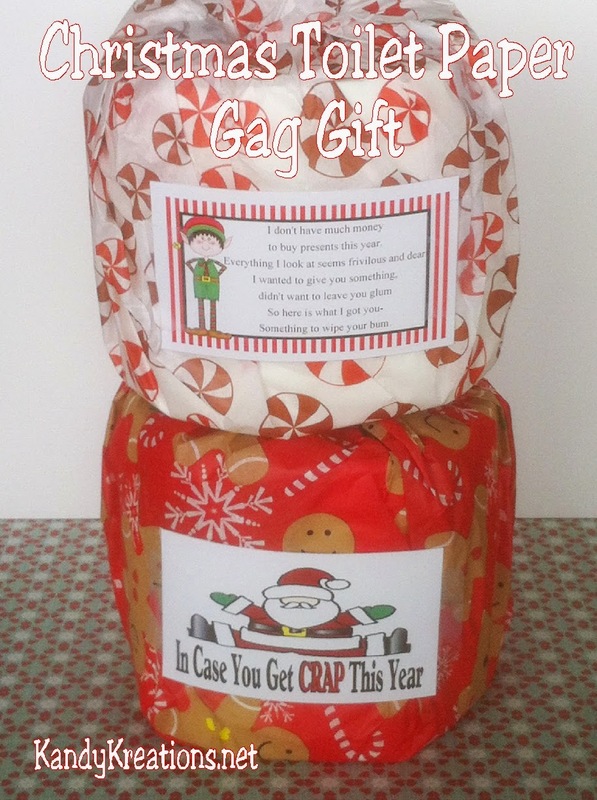 This Christmas toilet paper is the perfect gag gift to make all your friends laugh out loud. Just a few simple steps and this free printable and you are on your way to a fun Christmas party with the perfect gift idea. We are heading to a white elephant gift exchange tonight. I never quite know what to bring to these types of Christmas parties. So I've decided to go with a gag gift to make mine the one to smile over. 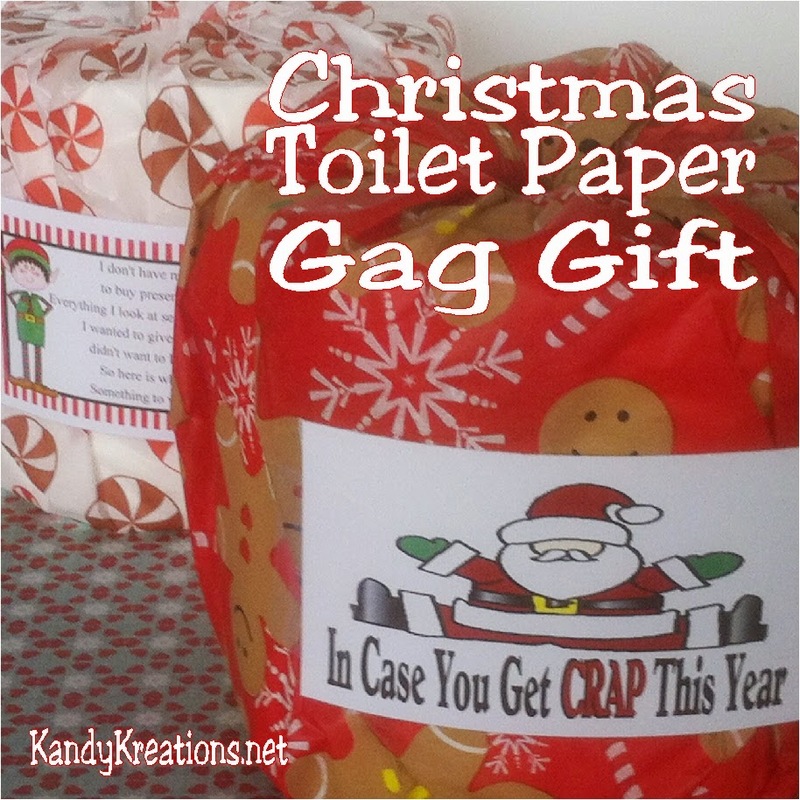 This Christmas toilet paper gag gift is pretty easy to whip up and only take a few moments with items you probably already have around your house. Gotta love that! 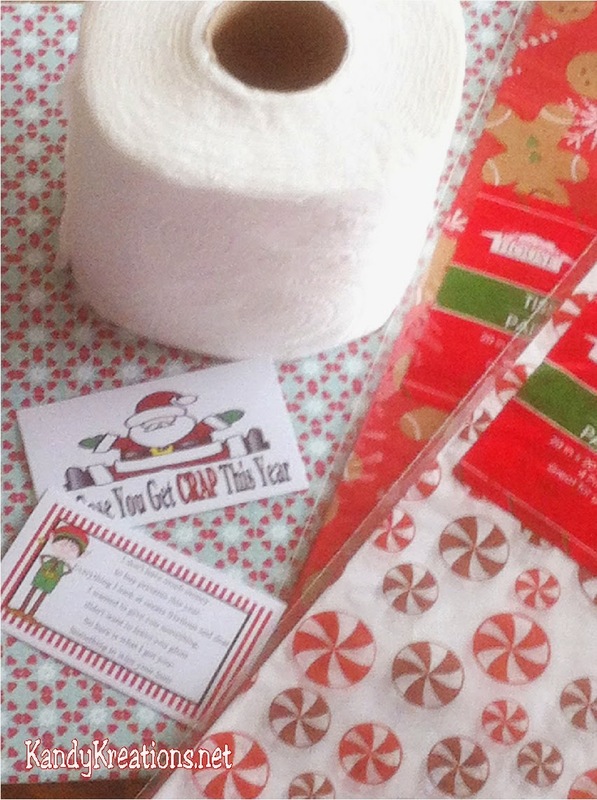 Start by gathering a roll of toilet paper, a sheet of Christmas tissue paper, and one of the toilet paper gag gift tags from the bottom of the page. 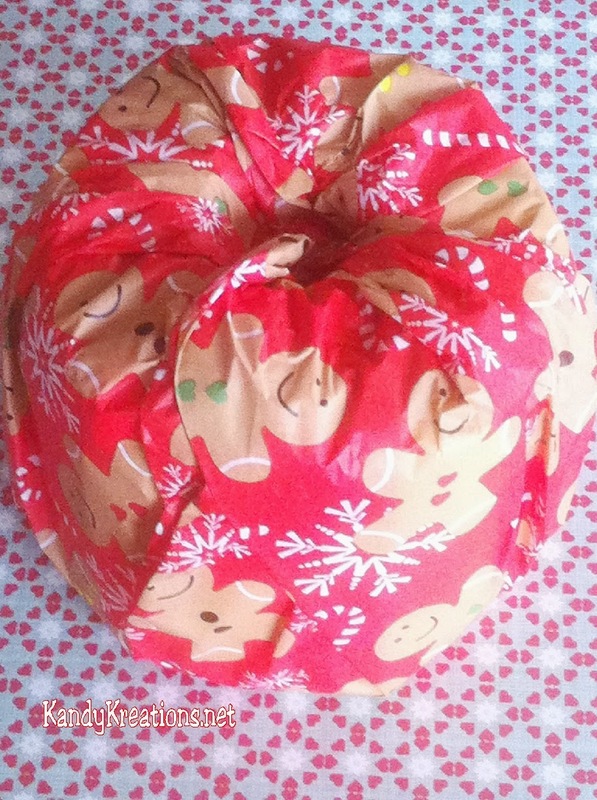 Lay your roll of toilet paper in the center of the inside of the tissue paper. You want the design facing down. 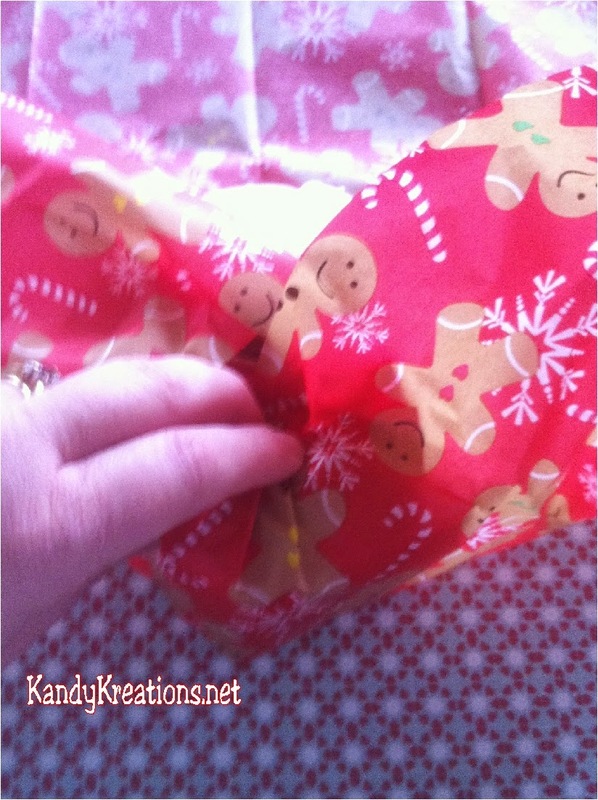 Carefully, pull up the sides of the tissue paper and stuff it down into the center of the toilet paper tube. You need to be very careful here so that the tissue paper doesn't tear. Once you're done, decide which toilet paper tag you want and print it out. 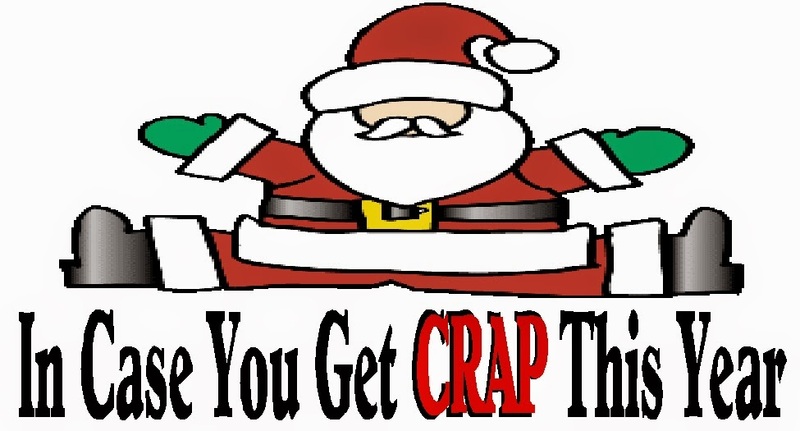 If you're going to go to a party with a bunch of boys, you might want to choose the one that says "If you get crap this Christmas". My boys seem to think that's pretty funny. 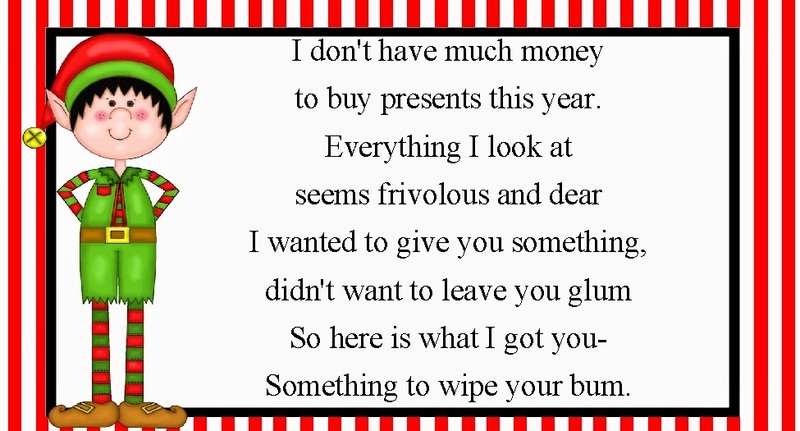 to buy presents this year. Something to wipe your bum. 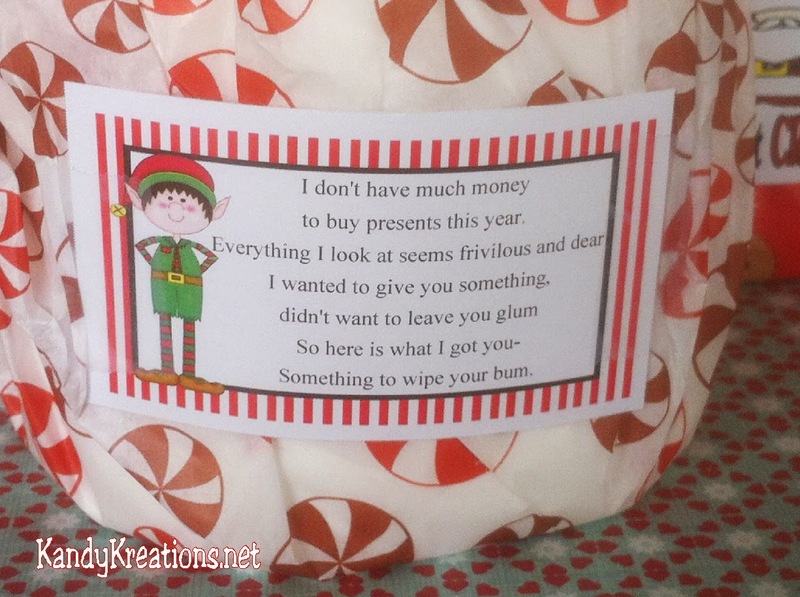 Now just print out the poem (I made mine business card size) and tape on to your toilet paper gag gift.